Let it never be said that the Punisher‘s inconsiderate of the needs of others. Yeesh, make up your mind, dude, he hasn’t got all day. This humble request has been brought to you by The Punisher #1 (April 2000) by Garth Ennis, Steve Dillon, and Jimmy Palmiotti. Isn’t it annoying when the local government comes this close to putting you out of a job? Meh, you can’t please everyone. 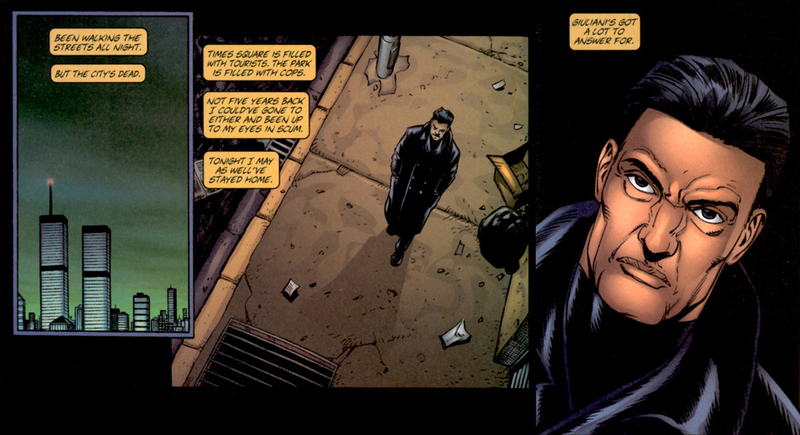 This disgruntled public service message has been sponsored by The Punisher #5 (August 2000) by Garth Ennis, Steve Dillon, and Jimmy Palmiotti. The Punisher knows how to bring out the worst in everyone. Frank Castle doesn’t do cute. 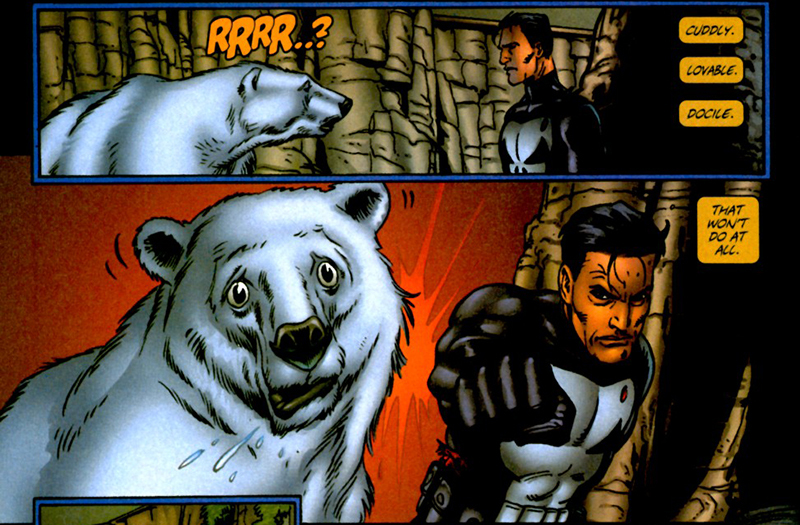 Today’s example of animal abuse comes to your courtesy of The Punisher #4 (July 2000) by Garth Ennis, Steve Dillon, and Jimmy Palmiotti.